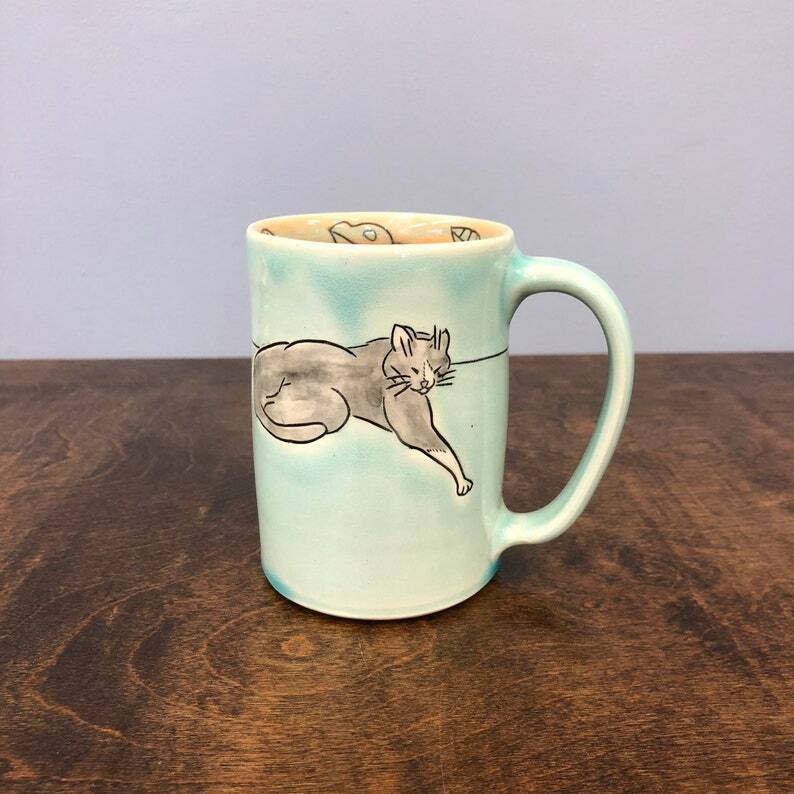 Handmade Mug, with a kitty. All hand drawn from my own work. Glazed in Peach (interior), and Aqua (exterior).